Easy and very family friendly. My kids loved this dish and didn’t even notice the spinach or mushrooms. You could swap out the tortellini with frozen raviolis if you prefer. I was also thinking that adding some red bell pepper would give it a flavor boost. I made a lot so we could have leftovers but I never saw the leftovers because they were gone so quick. Brown sausage in a skillet. At the same time saute the onions, garlic and then add in the tomato paste. After sausage is browned and onions are soft, pour the spaghetti sauce and the cottage cheese into the skillet. Stir in the spinach and mushrooms. Layer the frozen tortellini and sausage mixture in your slow cooker. 1/3 of the sauce, 1/2 of the tortellini, 1/3 of the sauce, 1/2 of the tortellini, and then the remaining sauce. Cover and cook on LOW for 3-4 hours. Where is the nutrition information posted? just added it to the recipe card for you! Next time, I think I will also try spicy Italian sausage instead of plain. I’m going to make it this weekend. I only have one question, can this recipe be doubled as we like leftovers at my house???? yes you can double this! I am making this now(found on pinterest)…it's in the crockpot! Sounds yummy. Was just thinking due to the prep work needed before putting it in the crockpot, this would be a great freezer meal! Bundle the ziploc of the sausage mixture with the bag of frozen tortellini, and just dethaw before assembling in the crockpot. Anybody see any reason this wouldn't freeze okay? This was such a great meal! My family loved it so much, even my 13 month old. It was quick and easy and so so so delicious! Great recipe. 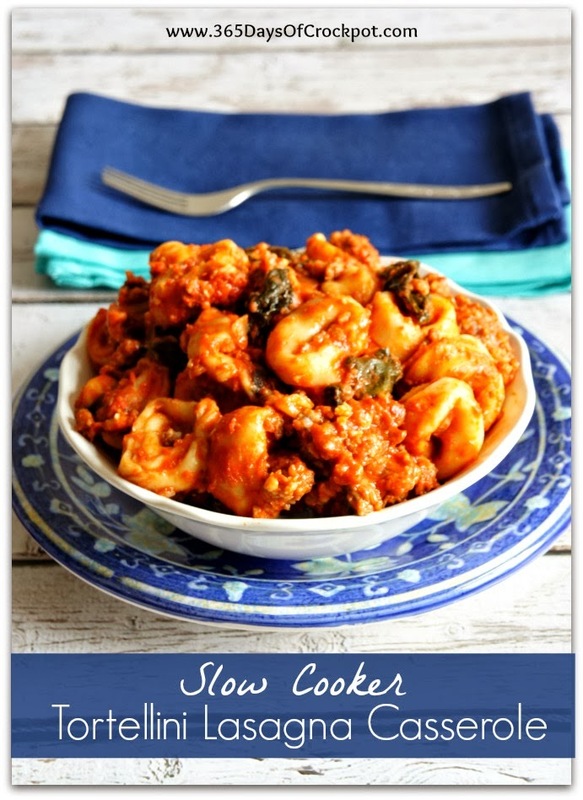 Thank you for a yummy post, I love to try a new recipe that you've shared.. I'm craving on it..